Back in September I blogged about "green" being the new black and gave a few ideas on how to make your wedding more eco friendly. Well I keep seeing posts and articles with new tips lately so I wanted to post again. The idea of being "green" is pretty well known; reduce, recycle, and reuse to make a smaller negative impact on the environment. But mixing eco friendly with weddings can be daunting. The more research I do, the more I realize that there really isn't an area of a wedding that can't become "green" in some way. Make a list of what aspects you want to be green in your wedding and make sure you are clear with your vendors on your expectations. Most vendors have a few eco friendly options and there are some eco friendly only vendors too. PapelVivo offers stationary using recycled post consumer fiber and they offer DIY kits! I also found a post featuring eco friendly wedding rings. And who can resist this post of an eco friendly wedding inspiration shoot including "green" dresses, decor, invites, and flowers! Speaking of dresses, Terra Amore is another bridal designer with an eco friendly line. Looking to spread the green love to your guests but not sure about giving them seeds, a plant or a tree? Offer eco friendly favors, such as myEARTH360's water bottle, tote bags or bamboo coasters. 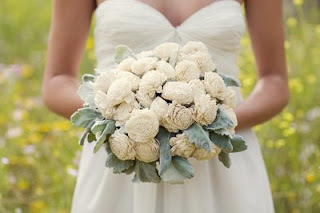 Or are you going to be a guest at an eco wedding? 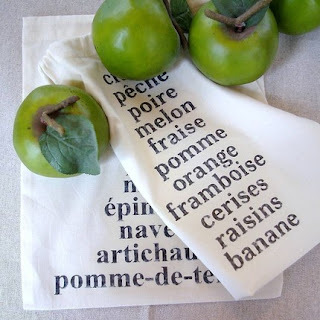 A great gift would be produce bags or salad servers in addition to other home items from the couple's registry. I even found a post featuring a CA photographer offering a 6 hour wedding package to a green wedding! 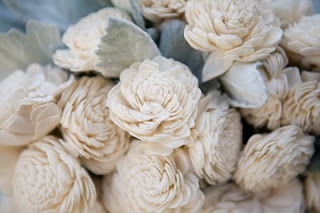 So, keep looking out for eco wedding finds and I will do my best to keep you updated. Enjoy!